We decided to look to the queen of good times, Ellen DeGeneres, for advice on what a great party needs. We’ve put together 6 quotes that share a great perspective on how to make your party better. Sure, she said most of them in a different context, but the wisdom is just as good. 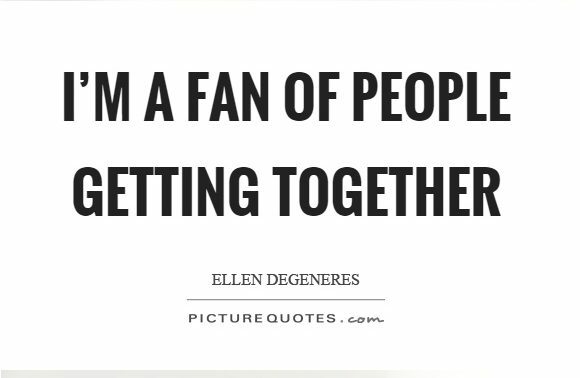 Do you know why Ellen is a fan of people getting together? It’s because she knows how powerful that can be. When people join forces and work in cooperation with each other, great things can happen. Corporate parties are a great way to do that. Make sure your team has the opportunity to do more than sit and talk with the people they know. Include games, activities, and team-based contests that give your staff the chance to build friendships. That’s the kind of stuff that helps your party be fun and your company grow better. There’s no worse feeling than being forgotten or excluded. Ellen has always made a point of inviting everyone to the party. Just watch her show. At the beginning segment, she dances and invites the audience to join her. Make sure you don’t miss anyone when sending out the invites, whether by mail or electronically. Missing a team member can both make it awkward for the other staff (who have to wonder why that person wasn’t invited) and for that person. Your corporate party should always include everyone. 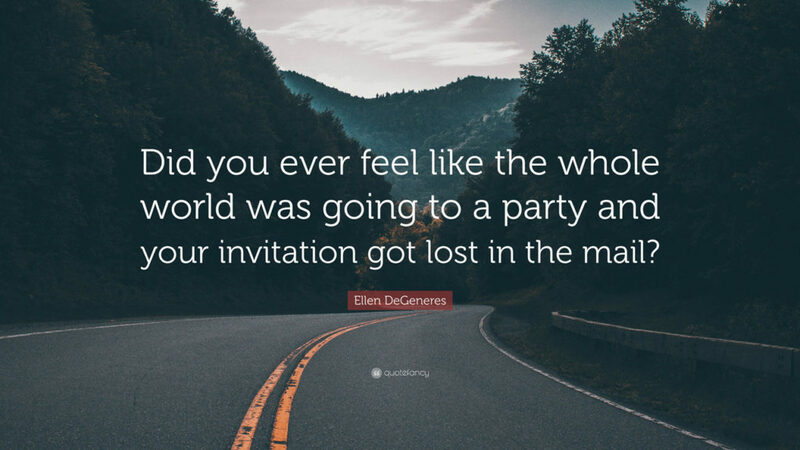 This quote is super funny, but it’s also obvious that the idea of an animal head decorated for a party makes Ellen uncomfortable. When you’re uncomfortable at a party, it’s tough to have fun. It’s also tough to want to go to any future ones. It’s not just the décor that’s going to affect the comfort of your corporate party. You need enough space for people to interact comfortably, plenty of seating area, and appropriate lighting. Having some space away from loud music is also something to consider. When your guests are comfortable, they’ll have a much better time. Meals can make or break a corporate party. Imagine getting that perfect dip of guacamole and lifting it to your mouth when suddenly the chip breaks. Just losing that can be frustrating. Now, that may not be the biggest of deals, but it illustrates Ellen’s point above. The food you offer at your corporate party should amplify the enjoyment. After all, nobody can be angry when they’re eating and enjoying it. Make sure you reasonably cater to food allergies and dietary needs, too, because nobody likes to feel alienated. 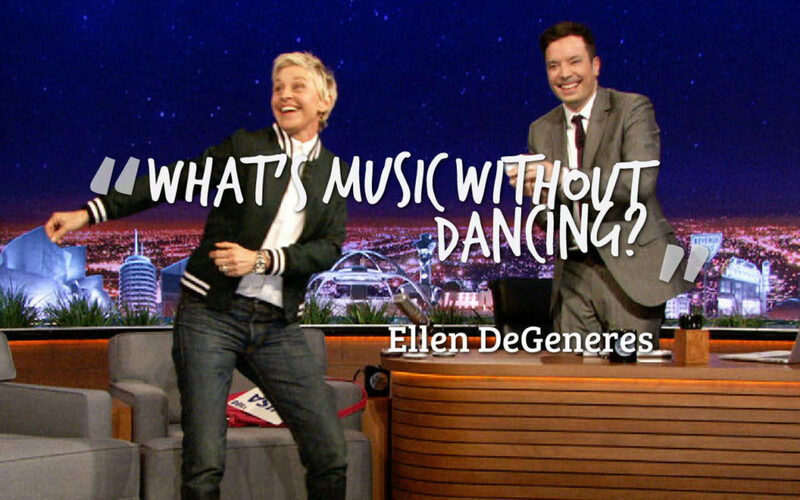 Ellen loves to dance. She makes that clear all the time. With this quote, she makes a magnificent point. Why have music if you’re not going to leave room to dance? It seems like a silly point. People love to dance at parties. Adding a dance floor or space to your corporate party will give your staff a lot more room to have fun. It’s even better if you can make some of the team-based entertainment we mentioned before revolve around dancing. People stay happier and have more fun when they’re moving, and room to dance is a great way to do that. How awkward is it to start talking to someone you ought to know, but really have no clue as to their name? Ellen conveys that perfectly here. It’s a fast way to make two people very uncomfortable. You’ve got to do something to avoid it. 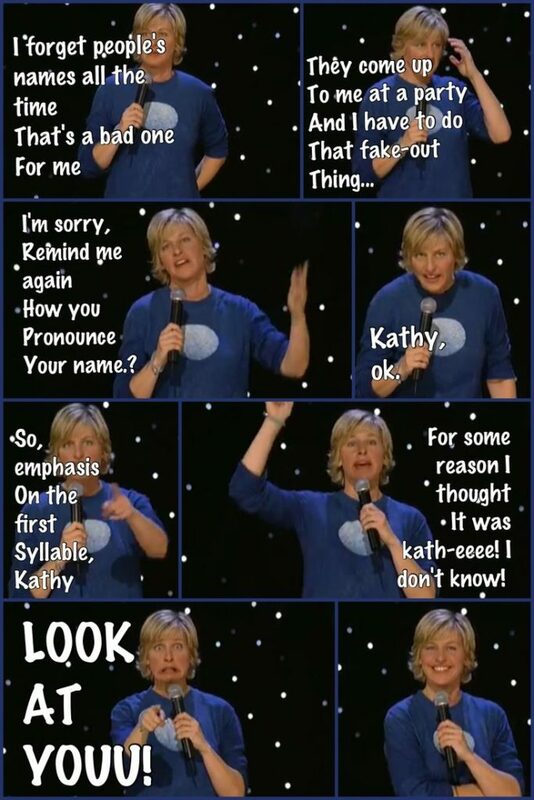 Try to make sure everyone remembers each other’s name. The standard way to do that at a corporate party is with name tags. However, if you’re a bit more clever, you can put together a name game like People Bingo, where players get the opportunity to get to know one another by finding guests who match a trait on their card. No matter what you choose to do at your corporate party, your guests have to have fun. The food, events, activities, and especially the atmosphere are all going to contribute. Riverview Recreation Park is the perfect venue to help you put together your perfect corporate party.